Will the Bank of Japan Cut Rates Tonight? Over the past few trading days we have seen a very nice breakout in USD/JPY. The move was driven entirely by expectations for this week’s Bank of Japan meeting. 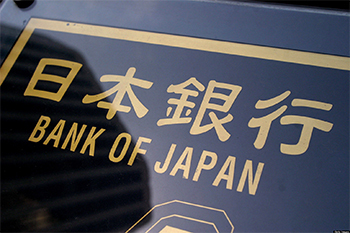 There are reports that the BoJ could introduce negative lending rates to complement negative deposit rates. With the Japanese economy struggling under the weight of a strong Yen and slower global growth and speculators holding a record amount of long yen positions, the chance of easing by the BoJ is high. 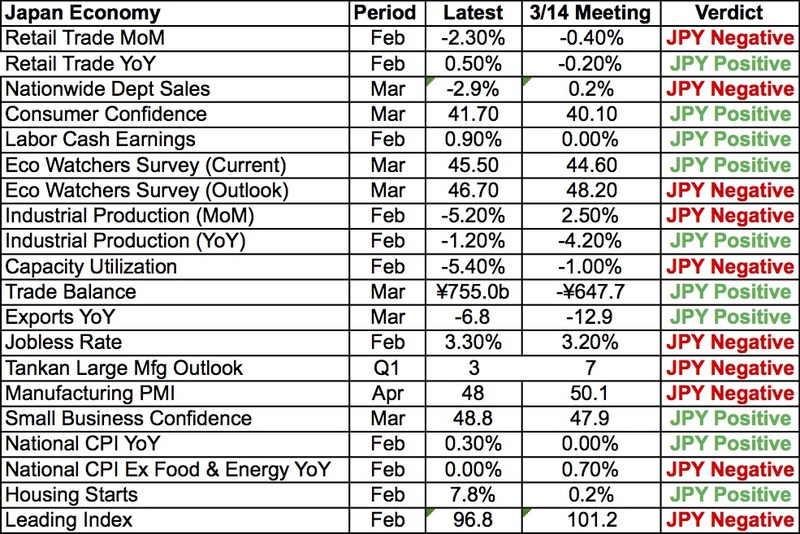 Take a look at how Japan’s economy changed since the March meeting in the table below. 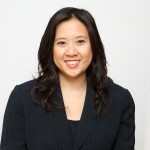 The Japanese avoided intervening in the currency market when USD/JPY dipped below 108 because they prefer monetary intervention and their next opportunity to help the economy comes next week. With traders so aggressively short USD/JPY, this news could lead to more aggressive short covering ahead of and on the back of the BoJ rate decision.